Yesterday, I had a rest day and we had a drive around the coast of Coigach area with great views of the Summer Isles to Lochinver and the Assynt. It gives me a taste of what I have got to look forward to. Most of today is on the road and I start at the hamlet of Rhiroy on the west side of Loch Broom. I pass through Ardindrean before coming to Clachan, another small hamlet with a big parish church which is facing costly repair. I have a flat stretch of road here to Inverbroom Bridge where I join the main road. This is the A835 which is the main route from Inverness to Ullapool and the Western highlands and is quite busy. Although I did not walk throw here one of the places to see is the Corrieshalloch Gorge National Nature Reserve. You can walk to a viewing platform where you can view the Falls of Measach. My route to Ullapool passes Inverlael Forest with walks up to Ben Dearg, the red mountain and Leckmelm, a small settlement, the scene of a battle between clans Gunn and Sutherland. 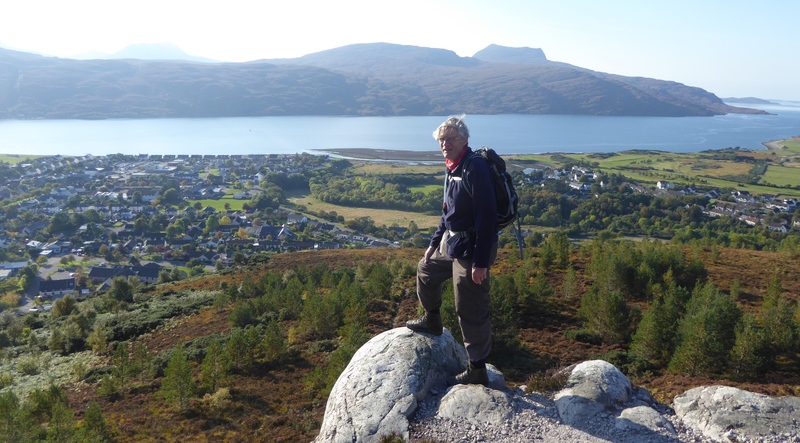 At Ullapool we climb up to Cnoc na Croiche for splendid views of Ullapool and Loch Broom. The town grew at the peak of the herring fishing industry. 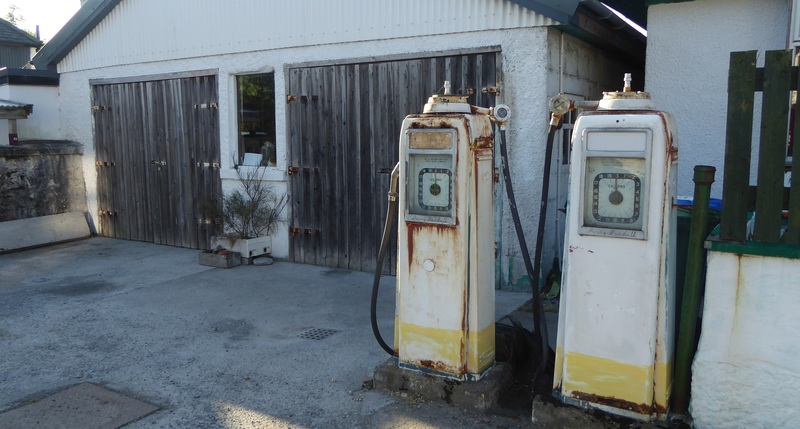 Nowadays it has a small array of shops, pubs, youth hostel and is the terminal for the ferry to Stornoway on the Isle of Lewis in the Outer Hebrides. This entry was posted in Highland, Scotland and tagged Coastal Walking, Corrieshalloch Gorge, Ullapool, Walking. Bookmark the permalink.